Homicide Watch Boston | Mark every death. Remember every victim. Follow every case. 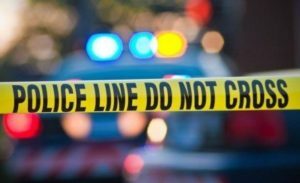 According to a recent police report, man in his late 20s was shot and killed early Saturday morning on November 19, 2016, in the area of 195 Normandy Street in Dorchester. Around 2:54 a.m., police responded to a radio call for a person shot in the area of 195 Normandy St. Upon arrival, officers found a male victim in his late 20s suffering from an apparent gunshot wound. He was declared dead at the crime scene. According to a Boston Globe report, a man who lives nearby, didn’t hear any gunshots and he only came to know of the incident when the police knocked on his door around 3:30 a.m. to ask if he had seen anything. On Friday November 18, 2016, the Boston Police Fugitive Unit arrested Antoiwane Davis, 23, of Dorchester, in the area of 3 Nazing Street, for allegedly shooting Anthony Toombs on November 5, 2016. 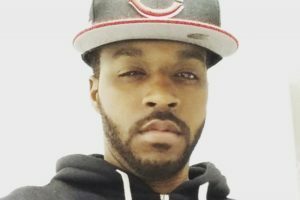 When officers had responded to a 911 on November 5, 2016 in the morning, they had found Anthony Toombs, 24, dead, with gunshot wounds, in the 36 Nazing street area. The suspect is expected to appear in Roxbury District Court where he will be charged with Murder. On Saturday, November 5, 2016, at 10:12 am, officers from District B-2 Roxbury) responded to an outside scene for a report of a person shot in the area of 36 Nazing Street. Upon arrival, the officers discovered the victim, identified as Anthony Toombs, 24, with gunshot wounds. According to the WCVB reports, Toombs was sitting in the car when he was shot. Anthony Toombs’ is the second death in a week’s time in this area. On October 29, another victim, identified as John Cesar was found dead a block away. Toombs who is known as L’il Ant, leaves behind his mother Imani Mendes. Toombs’ friends have set up a GoFundMe page to help raise money for his funeral. The Police Department is looking into the case and are trying to find out who shot Toombs. Anyone with information is strongly urged to contact detectives assigned to the Homicide Unit at (617) 343-4470. When Andre Timothee moved with his wife Benine and kids, to US after surviving the Haiti earthquake, little did he know that he would end up losing his wife to gun violence. On October 29, 2016, Benine was walking towards the community center where she learned English when she was shot at. But Benine wasn’t even the target of the attack. Police believed that another teenager who was injured in the attack, was the target of the shooter but one of their bullets hit Benine who was just a bystander in the conflict. At about 2:27pm, officers from District C-11 (Dorchester) responded to a call for two people shot in the area of 152 Washington Street in Dorchester. On arrival, officers located two victims suffering from what appeared to be gunshot wounds. Benine, who was one of the victims, was transported to an area hospital where she later succumbed to her injuries and was pronounced deceased. The second victim, a teenager, was treated for a non-life threatening injury. Andre, who is supporting the family with two low-paying jobs, is now trying to meet ends and the family doesn’t even have enough to cover the funeral costs. 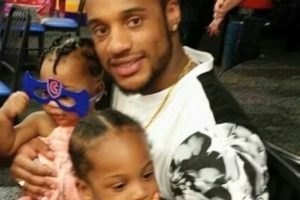 In an attempt to give Benine a proper funeral, Andre has set up a GoFundMe page in order to raise money. The jury has reached a split verdict in the Fatal November 2013 beating and stabbing to death of the 29-year-old Edwin Santos on Dorchester Street in South Boston. The father-son-uncle trio that was arrested for the murder of Santos, have received a split verdict today by the Suffolk Superior Court jury. Jurors acquitted Elias Sanchez’s son Angel Sanchez and brother, Gabriel Sanchez of murder charges for their alleged role as fellow attackers. Elias Sanchez, on the other hand, has been found guilty and has been convicted in the 29-year-old’s murder. He faces life in prison during his sentencing tomorrow. ADA Mark Zanini introduced evidence and testimony in the trial that has been going on for over two weeks, to prove that Elias Sanchez approached Santos as he stood with a female companion outside a Dorchester Street market on the afternoon of Nov. 17, 2013. The evidence showed that Elias Sanchez, armed with a club, violently beat Santos, who suffered blunt force injuries and multiple stab wounds during the attack. Zanini had sought to prove that Sanchez’s son and brother also took part in the fatal assault but the jury has found them not guilty. Elias Sanchez is expected to be sentenced tomorrow at a 10 am hearing in the Suffolk Superior Court. On Sunday October 23, 2016, officers from District E-18 (Hyde Park) responded to a call for a person who appeared to be lying motionless inside a motor vehicle at 36 Williams Avenue in Hyde Park. When the police arrived, they found 24 year old James Clermont shot dead inside the car at 11:30 am. Clermont, 24, was a father of three children aged 2, 3 and 6 respectively. He was found inside the car on Sunday, with an apparent gunshot wound but the police were unable to identify him until Wednesday. The police are reviewing the facts and circumstances surrounding this incident. Anyone with information is strongly urged to contact detectives assigned to Homicide Unit at (617) 343-4470. Community members wishing to assist this investigation anonymously can do so by calling the CrimeStoppers Tip Line at 1 (800) 494-TIPS or by texting the word ‘TIP’ to CRIME (27463). When the case against Edgargo Clark, a suspect in the shocking stabbing of 31-year-old Gerald Williamson outside a Dorchester restaurant, went to mistrial last year, it proved to be a setback in moving towards justice for the victim. But on Thursday, October 20, 2016, Edgargo Clark admitted to stabbing Williamson and pleaded guilty to voluntary manslaughter during his appearance at the Suffolk Superior Court. Edgargo Clark has now been sentenced by Judge Christine Roach with a 16 to 18 years in prison. Had the case proceeded to trial, the DA’s office says that ADA Ian Polumbaum would have presented evidence to prove that there was no relation between Williamson and Clark when the verbal altercation began on the evening of October 16, 2014 in the Dorchester restaurant. But the strangers soon turned to foes. The argument eventually did appear to be over until Williamson bumped Clark while leaving the restaurant. An enraged Clark followed Williamson out and a fistfight ensued. When it looked like Williamson had over-powered Clark, Clark took out a knife and stabbed Williamson in the neck. Edgargo Clark was arrested and indicted for first-degree murder in 2014 but there was a mistrial when the jury failed to reach a unanimous verdict. But with the latest development in the case, and Clark’s guilty plea, he has finally been convicted. The victim of a shooting in Roxbury Saturday night has been identified as a student at Greater Egleston High School. Shortly before 11 p.m. on Saturday, Oct. 8, Carlos Lind, 19, was shot multiple times. Officers responded to the scene and found Lind outside 5 Cleaves Ct. He was taken to the hospital, where he was pronounced dead. Lind lived in Jamaica Plain with his mother, and was the oldest of three children in his family. Lind loved his siblings dearly, according to a GoFundMe page set up in his memory. He attended high school just a few blocks away from where he was killed, at Greater Egleston Community High School, and had played football as part of the Boston Bengals. Police have not yet arrested any suspects in connection with the murder. Anyone with information about the shooting is asked to call Boston Police homicide detectives at 617-343-4470. People who wish to leave anonymous tips can do so by calling the CrimeStoppers Tip Line at 1-800-494-TIPS, or by texting the word ‘TIP’ to CRIME (27463). 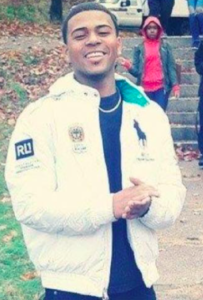 Boston Police have identified the man killed in Roxbury last Thursday. Jesse Dieusinor, 20, of Florida, was shot around 5:30 p.m. Oct. 6 at the intersection of Dearborn and Ziegler streets. 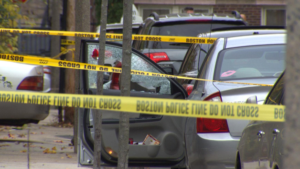 He was shot in the head, according to WBZ, and pronounced dead at Boston Medical Center. The shooting took place in front of a school bus that had three elementary school children on it at the time. 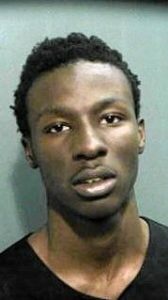 In September, Orlando police issued a warrant for 20-year-old man from named Jesse Dieusinor for a murder charge related to an August shooting in the Florida city. Boston Police have not confirmed if it is the same person. Update, 10/13: The Orlando Sentinel confirmed with police that the Jesse Dieusinor wanted for murder is the same person who was killed in Roxbury last week. A woman who allegedly stabbed her husband to death in what began as an argument in a Mission Hill apartment has been sent for psychiatric evaluation following her arraignment in court. The incident happened just after midnight Friday. According to police and prosecutors, the victim, Collis Edwards, 37 and his wife, 36-year-old Karen Edwards, were in Collis’ mother’s apartment on Wensley Street with two other people when the couple got into an argument. During the argument, prosecutors allege, Karen Edwards told her husband she was going to stab him, then went to the kitchen and grabbed a “large knife,” and stabbed Collis in the chest. Collis Edwards fled from the apartment onto the street, and Karen Edwards reportedly chased him. When police and EMTs responded to the scene, they found Collis suffering from a stab wound. He died from his injuries at Brigham and Women’s Hospital. Karen Edwards, who was reportedly living in Brooklyn but visiting her husband in Boston, allegedly admitted to stabbing Collis after officers arrested her. According to the Boston Globe, blood splattered the building’s door and entryway, and a trail of blood could be seen more than 50 feet from the building. Police recovered a knife at the scene. After her arrest, Karen Edwards allegedly confessed to stabbing Collis. 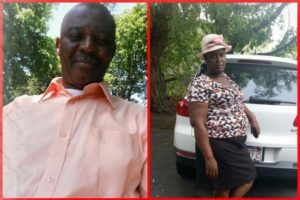 The couple had been married for about a year, the Globe reports, and Collis Edwards was the sole caretaker of his 11-month-old baby. Collis Edwards was originally from Guyana, according to his obituary, and he was a father to five children. At her arraignment, a judge ordered Karen Edwards held without bail. She will also undergo a 20-day psychiatric evaluation at the Solomon Carter Fuller Mental Health Center in Boston. A forensic psychologist testified at the arraignment that Edwards “showed ‘very disorganized’ thinking” and could suffer from a psychiatric condition, according to the Boston Herald. She will return to court on Oct. 27.